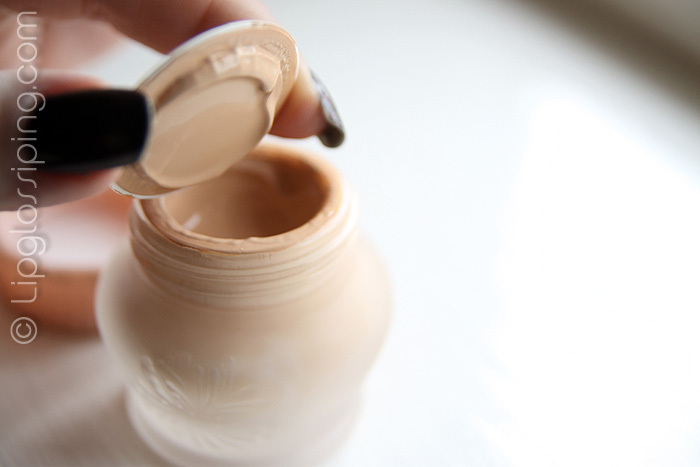 Paul & Joe’s Creamy Matte Foundation goes under the microscope! When I heard about Paul & Joe’s new Creamy Matte Foundation, my first thought was to get all indignant about a brand releasing a winter formula that ticks all the right boxes, only to ruin it by making it matte and unsuitable for dry skins that need the cream formula most of all! Like most, my skin is at it’s most parched in the Winter and although it’s only October, I’ve already written “Dr. Hauschka Rose Day cream” in my iPhone’s shopping list to remember to repurchase this winter skin saviour when I’m next in London. …this light and air whipped‐formula leaves skin looking completely flawless with a dreamy matte finish for absolute perfection. With a unique balance of semi‐matte and shimmer this unique moisturizing foundation available in an array of eight shades, promises a divine lustrous glow, sure to steam up your winter! High up in the list of active ingredients are a bunch of silicones which give the foundation a velvety feel on the skin whilst preventing oil from breaking through the surface of the product for as long as possible. There’s also a few fruit oils thrown in for good measure and the product does have a pleasing slightly fruity scent… but that may be more to do with the parfum than the natural ingredients. Either way, I’ve experienced no sensitivity problems with this product I’m pleased to report. But seriously, who doesn’t love a product that blatantly looks this adorable? The heavyweight frosted glass jar comes with a little spatula to help you remove product hygienically. However, I can’t say it’s the most travel-friendly object! I opted for shade #20 (Fresh) which promised to be: A light pink that gives a radiant complexion. To my eye, it’s not that light. It is the palest cool-toned shade in the range and I have to blend this carefully down my jawline. I would suggest that any pale types opt for either 00 Alabaster or 10 Ivory, or even better… use it as an excuse to have a mooch around Fenwicks on a lunchtime and get matched! Thankfully, it is a dream to blend… I mostly just warm it on the back of my hand with my fingers and apply with the tools I was born with (fingers, not toes). The amount of coverage simply amazed me. 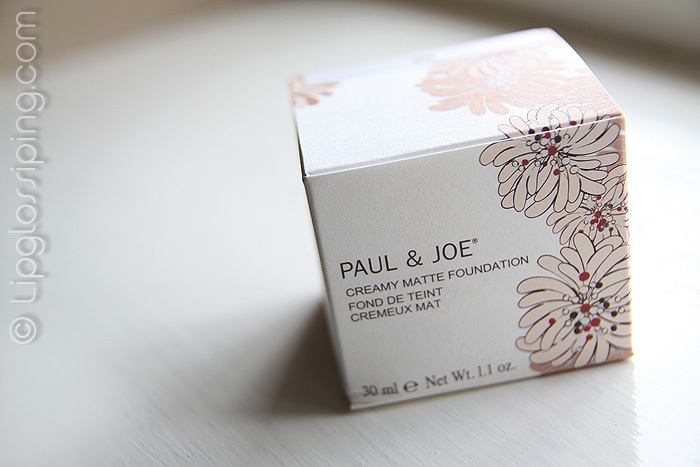 Paul & Joe’s Creamy Matte Foundation is a beautiful new contender for the winter foundation market. It looks great, stays on my normal/dry skin for most of the day with just a minor powder touch up needed on my nose at lunchtime and it gives a full-on flawless finish. As for it’s “moisturising properties”? I’m yet to discover any. I don’t find it as drying as most matte or long-lasting foundations and it doesn’t seem to cling to any dry patches at all… but I wouldn’t describe it as moisturising. The other thing about it? It’s not mask-like. 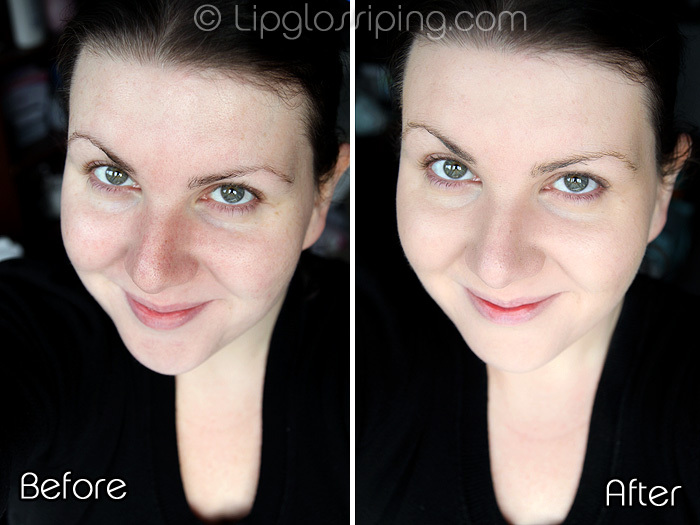 I love my Illamasqua Rich Liquid foundation for the evening… but would never venture out in the day wearing it. It’s just too opaque. This somehow lets my natural skin and tone remain clear whilst hiding a multitude of other sins! Overall, I would particularly recommend Paul & Joe’s Creamy Matte Foundation for those of you with normal/combination oily skin. If you suffer from an oily t-zone but dry cheeks, be sure to moisturise any dry areas before applying and you should get great skin all day long with this foundation. Paul & Joe have really been impressing me recently, I can’t wait to see what they have for Spring! Paul & Joe’s Creamy Matte Foundation is priced at £28 for 30ml and available instore at Fenwicks & Harrods or alternatively online at BeautyBay. I think I must check this out – the pics are great and I have exactly the type of skin you say its perfect for ! Thanks for reviewing this! Gotta love the packaging! 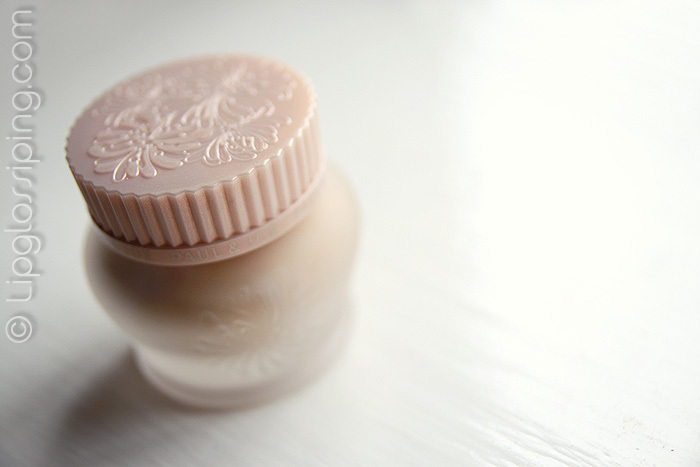 I had the previous bottled cream foundation and it was unfortunately too oily for me (and I have dry skin). This seems to be a better option! Urgh this sounds sooo perfect for me! Hrrrnnnnghhh D: That coverage looks SO fabulous! And the packaging…. oh, the packaging! I wish it was available here. It looks great on you and the packaging is gorgeous too! oh wow that foundation looks really good! i have got to get my hands on it!